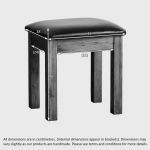 The Original Rustic Solid Oak and Leather Dressing Table Stool is designed to complement the Original Rustic Solid Oak Dressing Table perfectly, as well as every other item in this popular range. 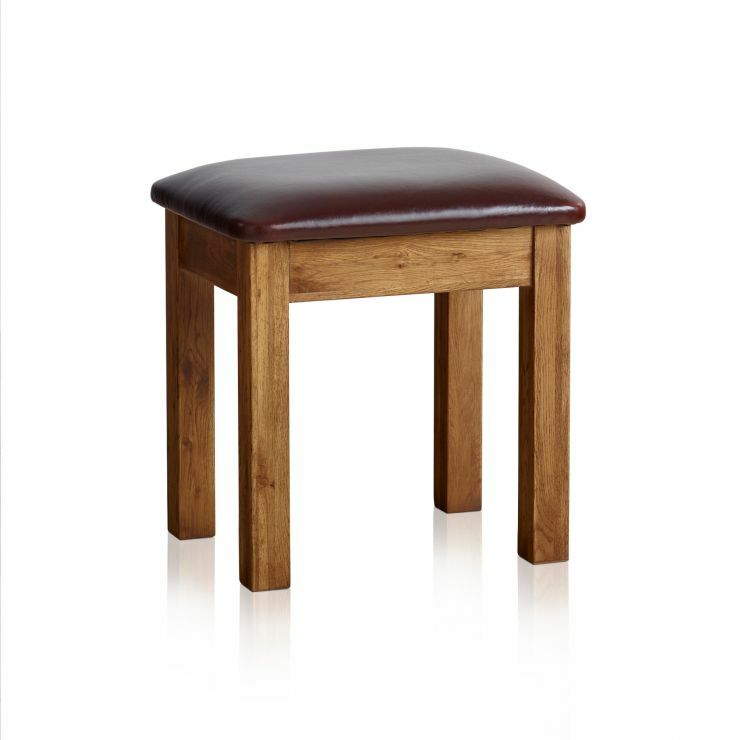 Handcrafted by experienced joiners from premium grade solid oak and upholstered in dark brown genuine leather, this stool is made to the same exacting standards as our dining chairs. 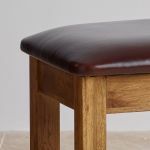 To produce a slightly warmer finish that our other oak ranges, the timbers have been treated with wax. 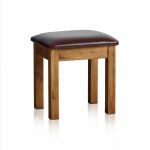 This lends the piece a wonderfully aged appearance which will bring a sense of the rustic into country home and inner city apartments alike. We never skimp on materials and we never use chipboard, MDF or veneers in any of our products. 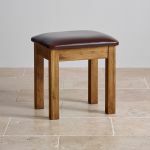 Take a look at the rest of the Original Rustic Solid Oak range and discover how easy it is to co-ordinate your furnishings.